Lately, I've been tinkering around with some new and old concepts in Android. Which got me thinking about creating a "#NewToMe" Series where I write about things I've learned while working on something new to me. Some of the lessons learned are probably not new to someone who's already worked on it before but it's definitely new to someone who's just getting started in Android or to someone whose focus was on other concepts in Android. 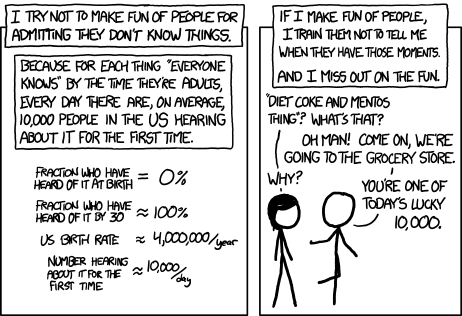 Remember this XKCD comic? More to come in the #NewToMe series. Keep an eye out for it!